In a two minute long video, Nitya Kumar creates an example of what it is like to be an ant. Her camera work is visually compelling as it allows you to view the world differently from the perspective of an ant. The effects are intriguing, although the illustration of the ant is an interesting component that adds character, it is visually distracting, integrating this subject is a great element in the video though it could be more minimal and realistic. The subtitles are a fun and creative element that the audience can appreciate, it’s funny and relatable, it allows us to relate to an ant which is unusual. 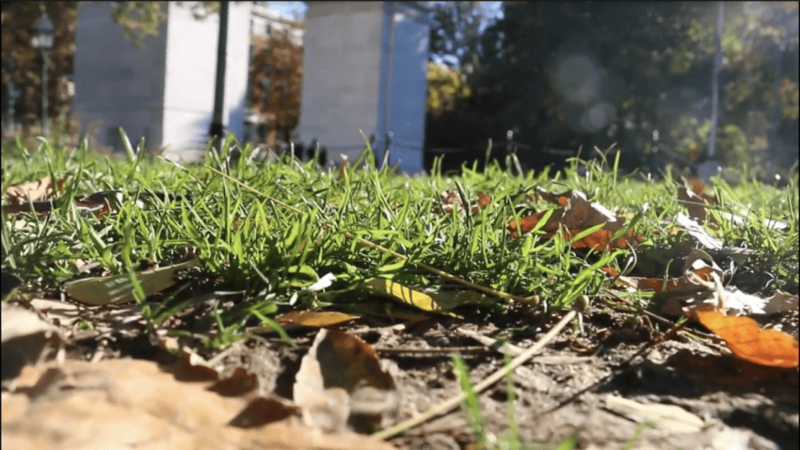 As you continue to watch Nitya’s video, I began to make a connection between the ant and Nitya, Nitya possibly depicts herself as this tiny creature in a huge city she explores, this may be interpreted differently, however, it is justifiable. Capturing various shots of New York at different camera levels and height has a great effect as I have previously mentioned, it makes quite an impact, and the decision to continue this perspective is thoughtful to the content she has produced. In the last shot, the audience was confounded by the ending she has brought the video to, the ant that has taken us around the city through its point of view is squashed and killed, and a sudden black screen leaves us with blood splattered on both corners of the screen. Its tragic, however, it’s oddly humorous as it makes a great ending. The ending can also tie into Nitya’s life in New York, the overwhelming pressure is like being stomped by the millions of civilians in the big apple.